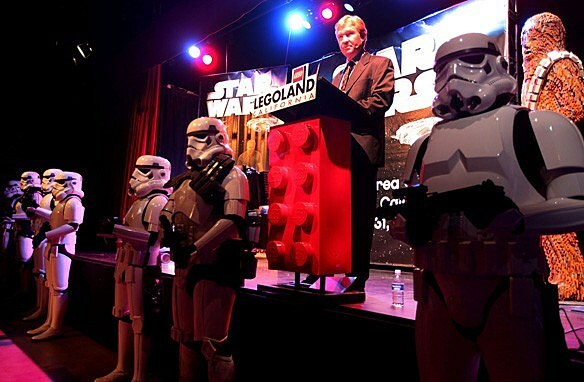 A recent LOGOLAND press conferences was interrupted by a Jedi Knight and Imperial Stormtroopers, signaling the coming of Star Wars to LEGO's California resort, which we were relieved to learn has not been bankrupted and relegated to supervillain residency, but actually saw record growth in 2010. Opening March 31 of this year, the Star Wars "miniland" will feature seven scenes from the six live-action films and The Clone Wars animated series recreated with the beloved toy blocks at a 1:20 scale, with some pieces standing more than six feet tall. LEGOLAND guests will also have the opportunity to pose with life-size LEGO versions of their favorite Star Wars characters, like Chewbacca, R2-D2 and Darth Vader. Check after the jump for more information and images. Following a chronological path through the STAR WARS timeline, LEGOLAND guests retrace the major events of the beloved Saga. 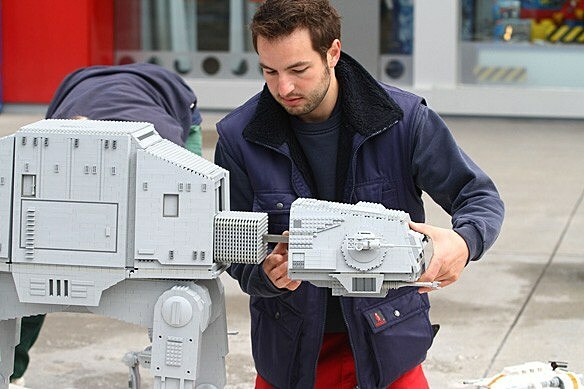 Some of the 2,000 LEGO models will be more than 6-feet-tall. Interactive buttons will allow children to activate animations throughout the scenes. 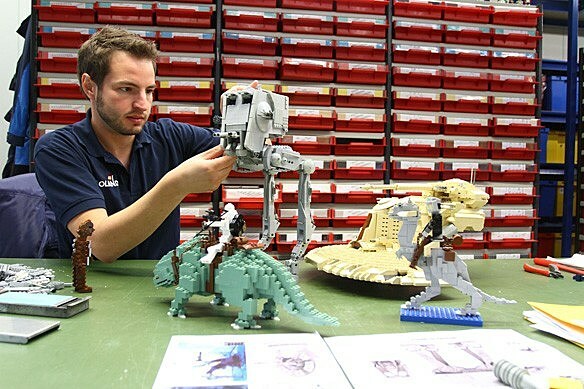 The models for the new STAR WARS area are being developed and built by eight model designers and two animation electricians at our sister park, LEGOLAND Deutschland. It will be up to Master Model Builders at LEGOLAND California to bring the scenes to life with the help of animation electricians, technicians and landscapers all working to ensure the LEGO models appear as realistic as possible with special effects and landscaping.